Vera Mae Penton Owens was born April 25, 1926, in Clanton, AL as the youngest of the eleven children of Julius & Sarah Penton. She moved to Birmingham to attend business college and eventually retired as the Head Clerk of the Jefferson County Health Department. 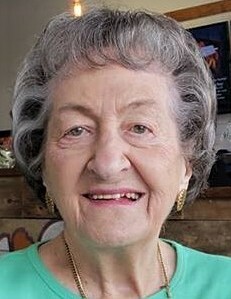 She loved to travel, eat good country cooking, listen to gospel music and watch Alabama football. Vera was preceded in death by her husband, Dave Owens; her daughter, Deborah Vance; grandson, Christopher Lawrence; and beloved dog, Belushi. She is survived by a host of family, friends and adopted dog, Gus. The family will receive friends on Saturday, October 20, 2018, from 10 to 11 AM at Currie-Jefferson Funeral Home in Hoover. The funeral service will follow at 11 AM in the funeral home chapel with interment in Jefferson Memorial Gardens, South.